This grilled asparagus with parmesan and lemon recipe is a favorite of mine; sort of an asparagus Caesar salad, if you will. The parmesan and lemon juice play well together with the chargrilled asparagus. Preheat grill to high. 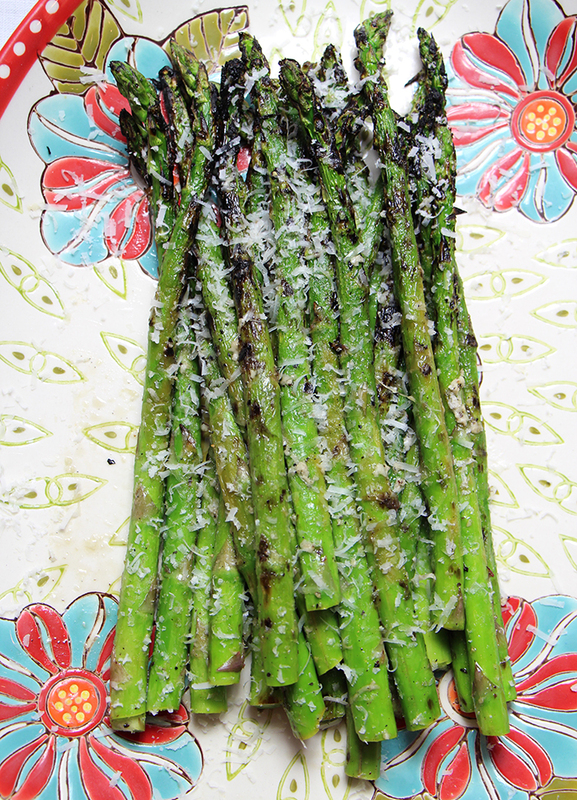 While grill is heating, add oil to asparagus on a platter and liberally season with salt and pepper. Grill asparagus, turning frequently, until bright green and charred in spots. Transfer immediately to a sheet pan and season with the cheese and lemon juice. Season with additional salt, pepper and lemon if needed.